How to find the WAN address(IPv4) of Multy Plus (WSQ60)? 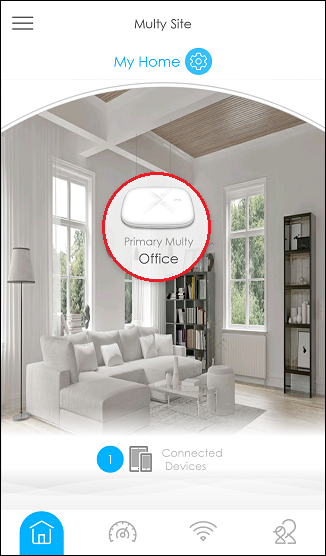 You can either use Multy app or Web GUI to find the WAN address(IPv4) of Multy Plus (WSQ60). Step 1: Tap the icon of "Primay Multy". 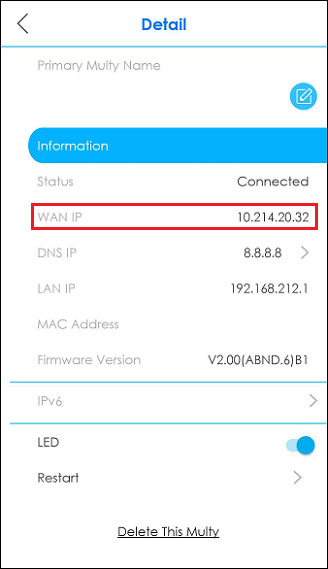 Step 2: WAN IP can be found in "Detail" page. If Multy Plus (WSQ60) is in Standard Mode, please follow the steps shown below to find the WAN IP of Multy Plus (WSQ60) via Web GUI. If Multy Plus (WSQ60) is in Bridge Mode, please check the router which Multy Plus (WSQ60) connects to or use Multy app find find the WAN IP of Multy Plus (WSQ60). Step 1: Click the "Menu" icon. Step 2: Click "My Multy" in the menu list. Step 3: Click "More" in "Action" field of the Primary Multy. 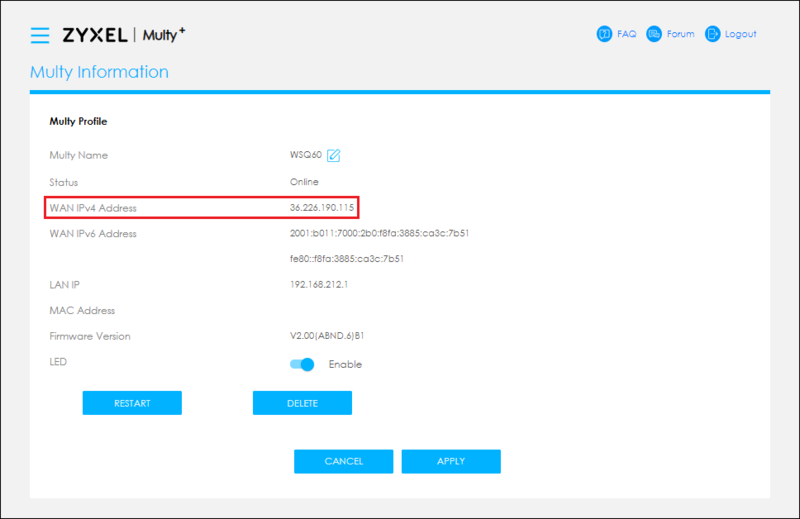 Step 4: WAN IPv4 IP can be found in the "Multy Profile" section of "Multy Information".